Greetings Vienna & Oakton Homeowners (and Future Vienna Oakton Homeowners)! It’s been a few weeks since we provided an update on what’s happening in the Vienna and Oakton real estate markets. That’s because we have been busy upgrading our web site for you – adding all kinds of FREE Buyer Reports, FREE Seller Reports, easy MLS search options and more. Let us know what you think! In the meantime, if you’re wondering what’s happening in the real estate market in Vienna & Oakton . . . the big news is that while Vienna remains in a Seller’s Market (with about 2 months of housing supply), Oakton has moved back into a Balanced Market (with 3-4 months supply). Number of contracts dropped for 3 weeks straight in Oakton – with only 3 homes going under contract this past week. In Vienna, 20 homes went under contract. This is the same number of contracts we have seen in 3 of the past 4 weeks. Average days on market for active listings declined in both areas – down to 98 days in Vienna and 76 days in Oakton. Housing supply in Vienna shows a Seller’s Market (with 2 months of housing). And Oakton has moved into a Balanced Market (with 3.1-3.8 months supply). Remember, however, that market supply also varies vastly within the same city, but in different price ranges, neighborhoods & school districts. 33% of the homes that went under contract in Oakton this week sold in 2 weeks or less. In Vienna, that figure was 25%. Request a FREE WRITTEN REPORT of your home’s value, set up FREE LISTING ALERTS so you can find out about new listings daily or ask to join our FREE PRIORITY NOTIFICATION LIST for special buying opportunities that are not in the MLS or on the Internet. In a market like this, don’t you want to know about homes BEFORE they hit the market? 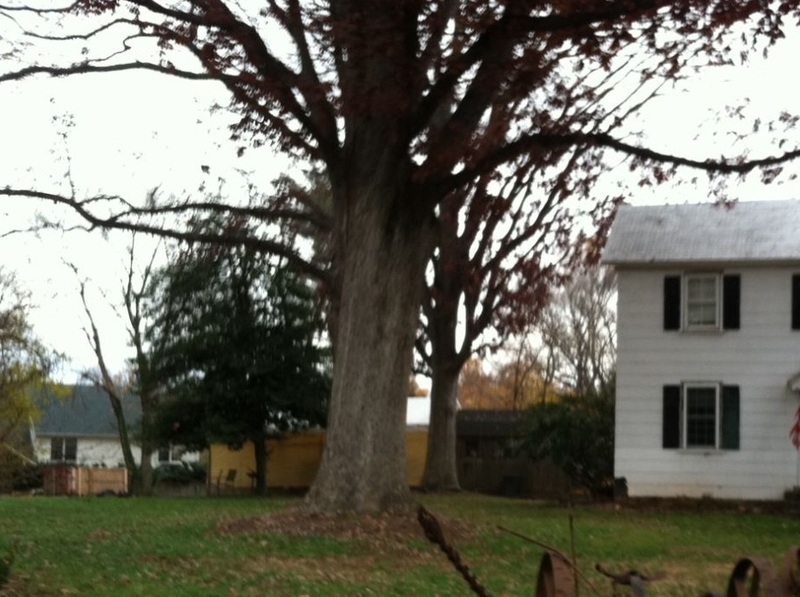 Just Listed on Green Garland Drive in Springfield! Beautifully updated and move-in ready! Updates include a renovated kitchen and renovated bathrooms, new windows, new garage doors, and fresh paint throughout. Delightful living room with fireplace, skylights, and a vaulted ceiling. Stunning kitchen with walk-in bay window. Lower level has a 4th bedroom/family room and 3rd full bath. Outside you’ll enjoy the deck and the fenced rear yard which backs to trees. We have LOTS of listings still coming on the market this Spring. Let us know if you would like to be on our PRIORITY NOTIFICATION LIST so that you can find out about listings BEFORE they hit the market! Q. What weighs 6,195 pounds? A. Nope – the answer is NOT 3 elephants. It’s the amount of food our Keller Williams office collected at our emergency food drive on RED Day for SHARE of McLean!!!! 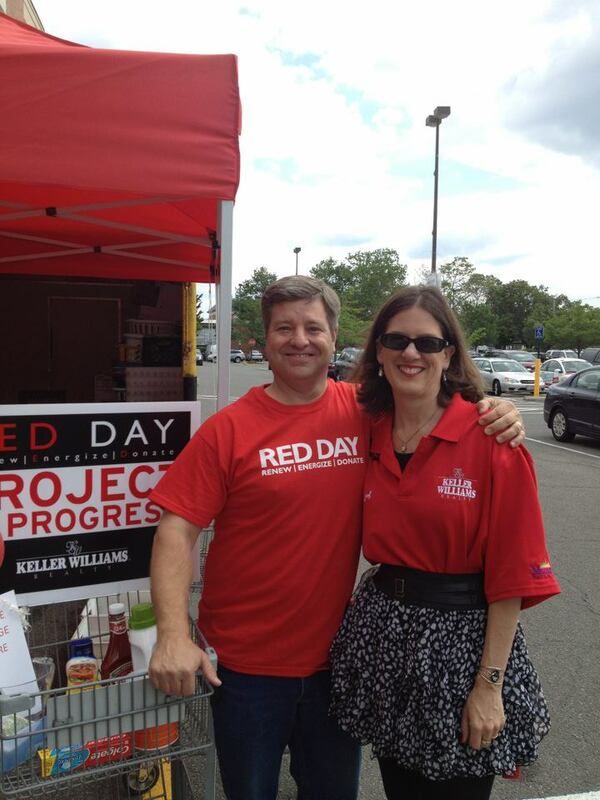 RED Day is an annual Keller Williams Realty event to celebrate our year-round commitment to improving our local communities. And while our 80,000+ agents do many things throughout the year (like our annual KW Cares Charity Golf Tournament), we join together each year on our Vice Chairman of the Board’s birthday to do community service around North America. 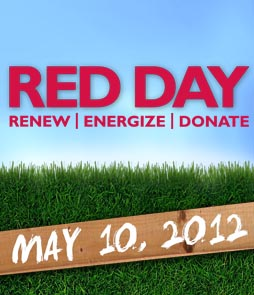 “RED” stands for “Renew, Energize and Donate”. 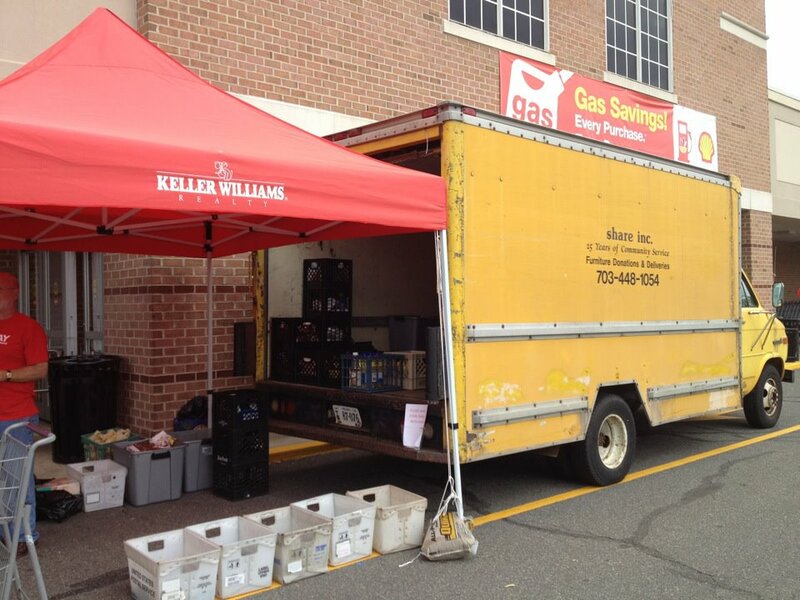 2 years ago, Keller Williams agents donated 155,000 service hours in one day. That number went up significantly last year. We haven’t totalled the hours yet this year, but all kinds of activities took place around the country – from home building to blood drives to refurbishing parks & beaches to dances at nursing homes & more. We spent the day collecting food at the McLean Giant and the afternoon/evening at the Great Falls Safeway. 6,195 pounds. More than 3 TONS of food collected! That number is kind of mind boggling – isn’t it?! And we want to THANK all of our friends, clients & neighbors in the community for being so generous. Your donations will help many families in need in the McLean, Great Falls, Pimmitt Hills, Tysons & surrounding areas. Thank you for helping us give where we live. You might be surprised at the needs in our area. After all, we live in one of the most affluent parts of the country, But they are there and they are real. Before our drive, many of the shelves were empty at SHARE and many folks who needed assistance were not able to get it. SO THANK YOU! 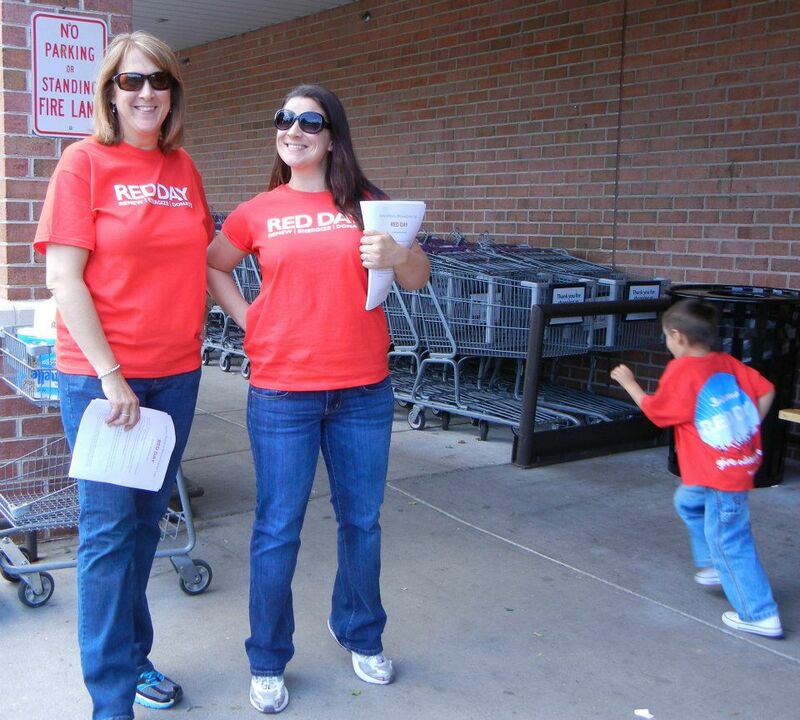 If you would like to join with us in community service for RED Day 2013, contact The Belt Team. Every Friday we share a video. Usually it’s something fun – a tongue-in-cheek tie in to our open houses that weekend. Well – this weekend is Memorial Day. Our open house info is below, but our video is more on the serious side. 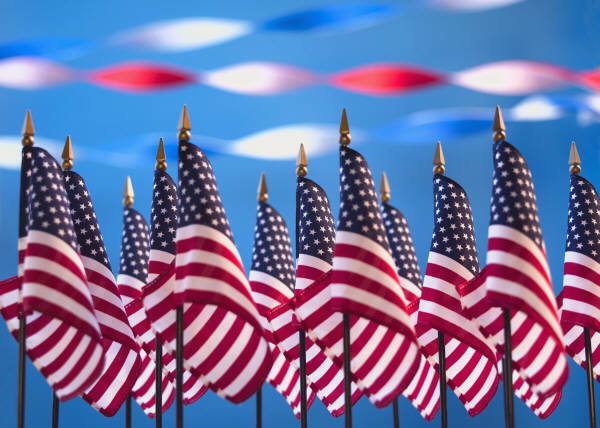 Thank you to all who have and are serving our country in the military – AND to their families. Freedom isn’t free. And we thank you for your selflessness. 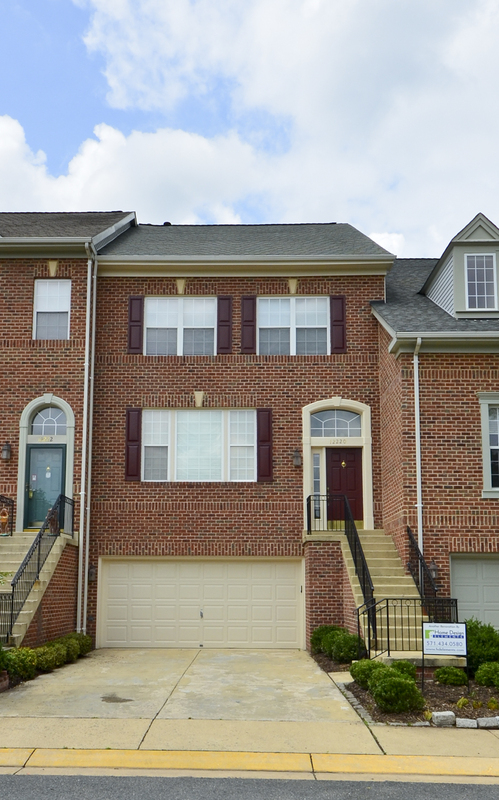 Beautiful brick front townhome close to Reston Town Center. All freshly painted inside and out, refinished hardwoods & new carpets. Light filled and spacious with 9’+ ceilings throughout. 2 sided gas fireplace between the dining room & great room. Breakfast area with vaulted ceilings & French doors to deck. All bedrooms have vaulted ceilings. Fully finished lower level with bay window walks out to rear yard. Directions: Dulles toll Road West, Right Reston Parkway, Left Bluemont, cross over Town Center Parkway, road becomes Crescent Park, Left Logan Manor, Left Dorrance to #12220. Fabulous 4-level split colonial in the heart of Vienna. Huge family room with gas log fireplace and sliding doors to a wood patio. Just a few steps up to the updated gourmet kitchen with stainless steel appliances, granite countertops & farmhouse sink. Gleaming hardwoods on 2 upper levels. 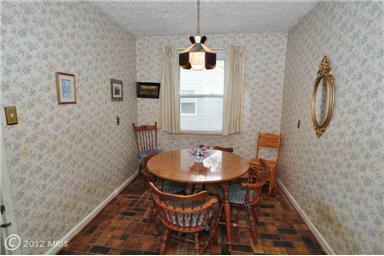 Dining room with French doors to screened porch with ceiling fan. Living room with lovely picture window. Fully finished rec room on the lowest level. Directions: From Tysons: 123 South, Right Old Courthouse Road, at the light turn left to stay on Old Courthouse Road, Left on Course Street to the house on left (#413). New custom home from District Properties in the heart of Vienna. Gleaming hardwoods on the main & upper levels. Living room with access to full bath could be main level bedroom. Gourmet kitchen with French doors to deck. Kitchen also opens to family room with gas fireplacec. Master suite w/spa-like bath & electric fireplace. Convenient upper level laundry. Finished lower level with rec room, electric fireplace & wet bar – plus a bedroom, full bath & media room. Fenced yard. Just Listed On Murnane St in Vienna! Gorgeous stone front colonial ! Open floor plan. 2 story foyer flanked by formal living room & dining room. Gourmet kitchen, spacious family room with gas fireplace. Amazing master suite with laundry & spa-like bath. Lower level amenities include wet bar, media room, in-law/au pair suite, exercise room with padded floor & rec room. Lovely deck with pergola and stone fireplace perfect for outdoor entertaining. Wired for sound. Selling Your Home : Should I Put Money Into Updates or Staging? Contact The Belt Team for more information. We’re happy to walk through your home with you so you know what does – and more importantly – what does NOT need doing before you put your home on the market! TGIF! That means it’s time for our Friday Funday Video & Open House Announcements. So listen up, then scroll down for open house details. we’ve got TWO GROOVY ONES! What's Happening This Week in Vienna Oakton Real Estate? Average days on market for active listings declined in both areas – down to 91 days in Vienna and 88 days in Oakton. 25% of the homes that went under contract in Oakton this week sold in 2 weeks or less. In Vienna, that figure was almost double – at 45%. Email The Belt Team (or call us at 703-242-3975) to request a FREE WRITTEN REPORT of your home’s value or to be put on our FREE PRIORITY NOTIFICATION LIST for special buying opportunities that are not in the MLS or on the Internet. In a market like this, don’t you want to know about homes BEFORE they hit the market? Why Is My Home Not Being Shown? This is a question The Belt Team gets a lot when we are called upon to list & sell homes that have already been on the market with another agent. Now, you may be wondering why we weren’t asked to sell the homes in the first place. And that’s a great question, so let’s address that first. Sometimes, it’s because the first agent “bought” the listing. What we mean by that is that the Seller interviewed several agents and then listed his home with whichever agent gave the highest price. And that price did not correlate with the market. Hence, the home does not sell, the listing expires, and the Seller calls The Belt Team. Why do agents “buy” listings? It can happen for several reasons. One – the agent did not really know the market – either this is not their primary area or they don’t sell very many homes each year – so their market knowledge is lacking and as a result, they give a price that does not match what the market is willing to pay. Another reason could be that the Seller listed the house with a friend, relative or some other agent they felt an obligation to. And the same thing happened – the agent was part-time, not familiar with the area or just doesn’t do much business. So the Seller paid the price by being over the market and not in the market. Result? No sale. Call The Belt Team. Some agents “buy” listings because they don’t have much business and they really want the listing – figuring that if it doesn’t sell at the higher price, they’ll just reduce it and sell it later at a lower price. This strategy is NOT in the Seller’s best interest (the longer a home is on the market, the lower it sells for) and often backfires when the home doesn’t sell at all. The Belt Team chooses not to do this. We always present an honest picture of the market. Even if it’s not what our Sellers want to hear, it’s still in their best interests for us to be straightforward & honest. And if they still want to hire us and choose to price their home so outrageously above the market, we choose not to “buy” the listing. It’s not in their best interest to pursue that strategy and we’d rather turn them down now than let them down later. 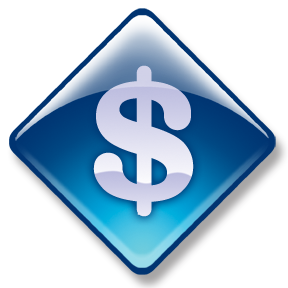 A Seller may have listed with another agent first because she offered a reduced commission and the Seller thought he would save money. But if your home doesn’t sell, you come out behind. 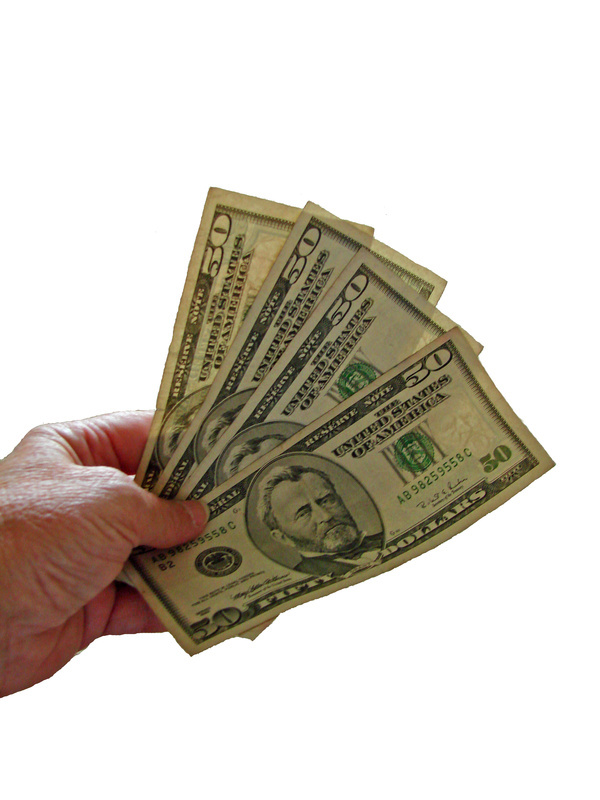 If an agent is that willing to negotiate away their own commission, how well will they do at negotiating for YOU? Probably not very well, and that’s another reason why they end up calling The Belt Team. Our recommendation to Sellers is that you select an agent based on his/her credentials & proven experience – NOT based on price. How well does he negotiate? What is his average list to sell price ratio? How do his listings fare in terms of number of days on market versus the average? How many homes does he sell every year? How good of a team does he have to back him up & handle the myriad of details of marketing & more. Price is a separate issue. The market is the market. Realtors do not control the market. Buyers do. So you need a Realtor who can navigate the market & make it work to your advantage so that you maximize your return. Hire the best Realtor and THEN, only then, set the price. Upside Down Listings Photos - Seriously?! Where is the first place today’s consumer starts looking for a home? Yup – you got it – the Internet. And as the saying goes, “you don’t get a second chance to make a good first impression”. 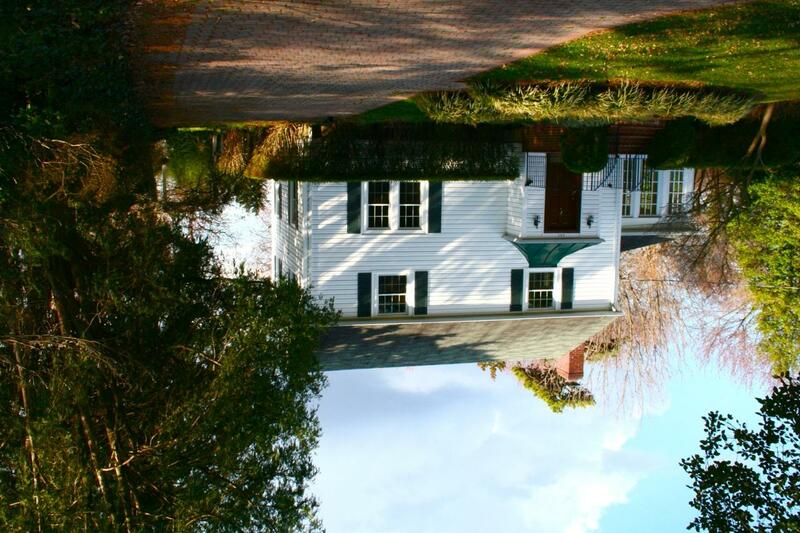 This week, we were looking through listings and came upon one where all the photos were loaded UPSIDE DOWN. Our guess is that this home was listed with an agent who doesn’t do much business. Technology changes quickly and they obviously were not familiar with how to upload photos correctly. Could this really keep your home from being shown? YES! Today’s consumer is impatient. It’s likely that they will just click on to the next listing and skip this one. This goes right along with upside down photos. If the photos being used to market your home are not professional, then you are decreasing the chances your home will be shown. While some buyers may be able to look past the poor quality photos, others may not be able. We at The Belt Team pride ourselves on being the best of the best at what we do – especially when it comes to market knowledge, negotiation & creative problem solving. But we also know what we are NOT. And we are NOT photographers. So while some agents try to save themselves money by taking their own photos, they are actually costing their clients showings and doing them a disservice. This is why we have all our listings shot by a professional photographer. Do you think this affects the home being shown? ABSOLUTELY! How many more people do you think would have look at the condo that was incorrectly listed as a 1 bedroom, if it was correctly listed as a 2 bedroom? No wonder the home was hardly ever shown! We are all human and we all make mistakes. 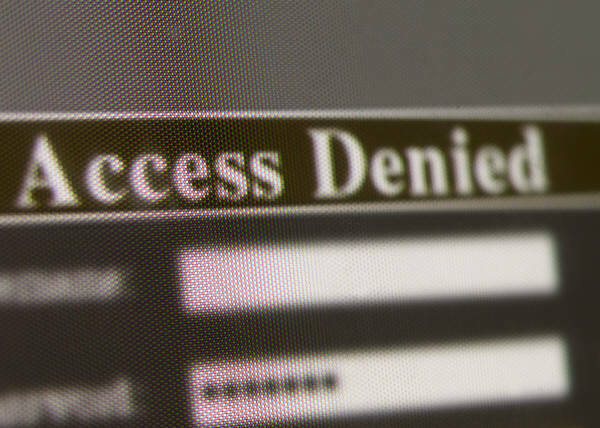 But it is up to the agent ensure the integrity of the data in the system. This is why we ask all of our Sellers to review our brochures and sign off on them prior to going on the market. And why we send them a copy of the listing once it gos “live”. We take data integrity seriously. Sometimes your home is not being shown because what you think is easy to arrange as far as access, really isn’t so easy. Unless you’re in the multi-million dollar price range in our area, it is customary for a lockbox to be put on your door. Agents normally call first and if you are not home, they go ahead and show the house by getting the key out of the lockbox. Any arrangement other than this decreases the likelihood of your home being shown. It’s just a fact. You may have plenty of reasons why it should be otherwise – multiple pets, a new baby, an elderly aunt, valuables in the house, But Buyers just don’t care about that. Agents & Buyers are often on a timeline – ready to go from house to house – sometimes only in town for one day. So if they have to wait for a phone call back to set an appointment, or they cannot show your home on Saturdays, or during naptime, or they have to wait until the listing agent can meet them. They will just SKIP IT. Required showing arrangements other than lockbox also raise a red flag to the buyers and/or their agent that this Seller may possibly be difficult to deal with. And that’s a bad way to start off a negotiation. Some Buyers/agents just decide it’s not worth seeing the house in that case. 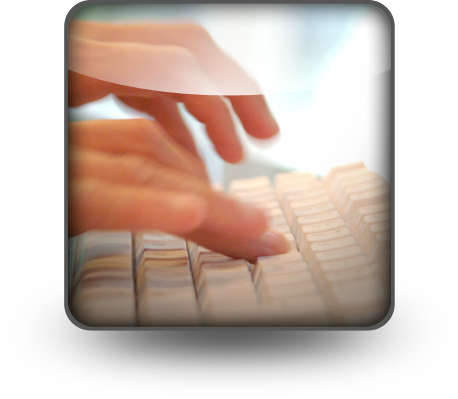 Buyers typically search in set increments. For example, a Buyer may be looking in the $650,000-$700,000 price range. If your home should really be priced around $675,000 – but you decide to “try the market” at $710,000 – you may be missing a whole section of potential Buyers – especially in a marketplace like today’s where we are seeing bidding wars again. Some agents are cautioning Buyers who want to end up buying between $650,000-$700,000 to look at homes from $575,000-$650,000 in case they have to escalate the price to get the home they want. So if you’re priced at $710,000 – not only will you not get any offers from people who might think about negotiating, you won’t even get Buyers in the door to see your home becuase you’ve priced yourself OUT of the market. Hiring the best, most qualified, most professional Realtor when selling your home doesn’t cost you any more than hiring an “average” Realtor. And it could save you time & money – two precious commodities. Get it right the first time. Here are 43 questions you should ask when you interview a Realtor to sell your home! Contact The Belt Team at (703) 242-3975 if you would like us to sell YOUR home! Rental – Just Listed in Vienna! Don’t miss this opportunity to live in this great Vienna location. Close to the Dunn Loring Metro & Tysons Corner or easy commuting on Rt 123 or I-66. This cute colonial features a spacious kitchen, formal dining room and formal living room. The family room with gas fireplace walks out to a wood patio, perfect for outdoor entertaining. Lovely wooded lot.